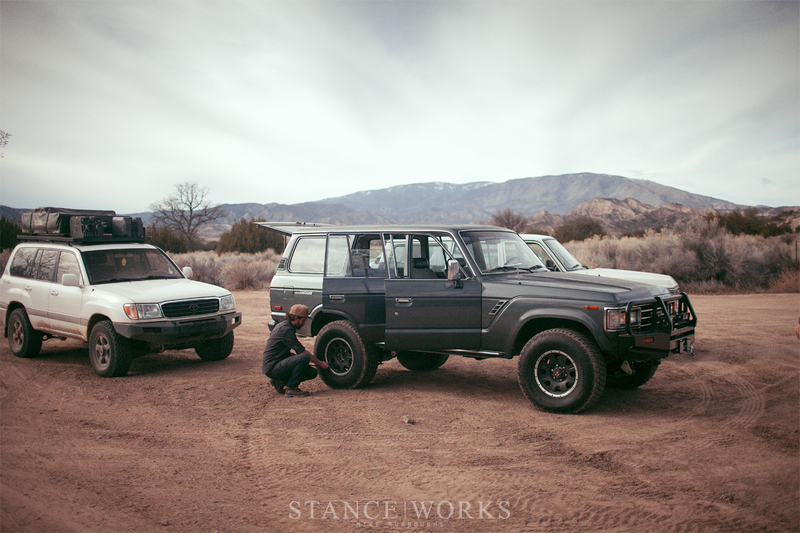 It's hard to believe that it's going on two years now that I've owned my FJ62 Land Cruiser. I bought it on a bit of a whim, in need of a new daily driver. 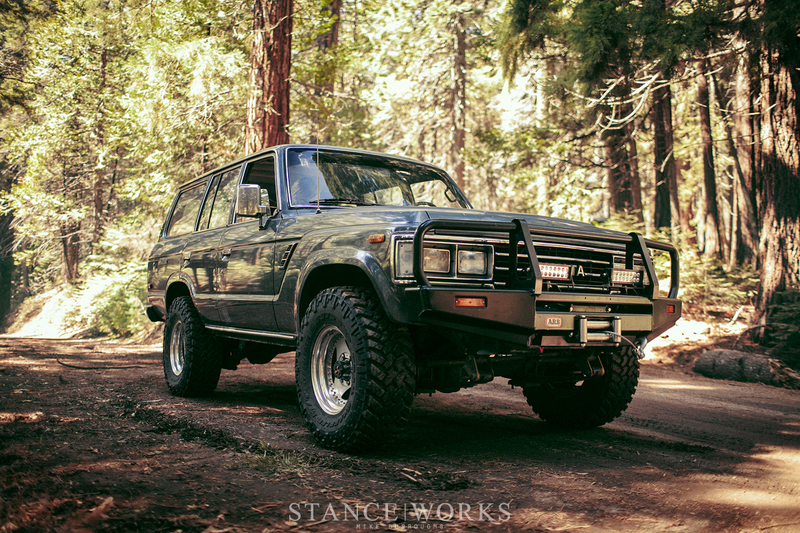 I had eyed cheaper 4x4s such as Monteros and Jeeps, with the 60-series Land Cruiser taking a back seat solely due to cost; it was, after all, the truck I wanted most of the lot. However, one within my budget was hidden in the depths of Craigslist, with no info and a misspelled title. It had been listed for more than a month, waiting for a prospective buyer that was likely to never show. 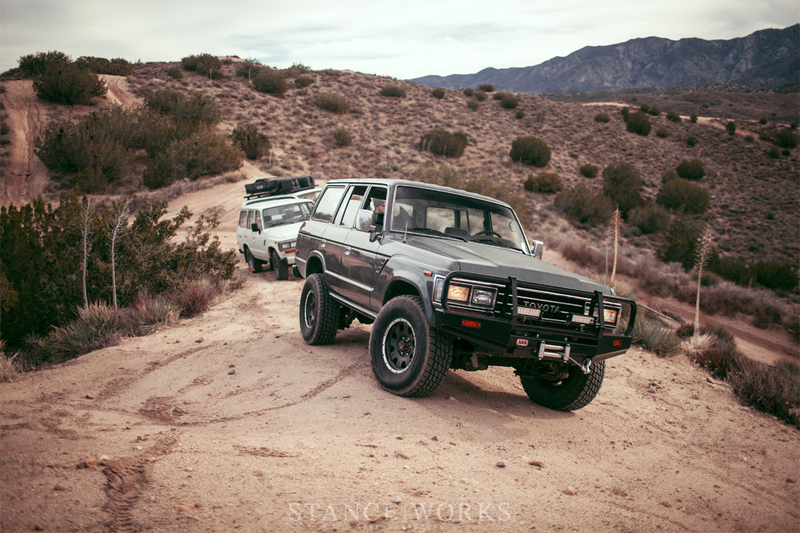 Luckily for me, I stumbled upon it, and later that day, I had an FJ62 of my own. Wasting no time, I called up our friends at Nitto that very afternoon, anxious to begin modding the truck, starting with arguably the most important part of them all: tires. The truck came equipped with a set of old 29" rubbers, begging to be replaced with something bigger and better. 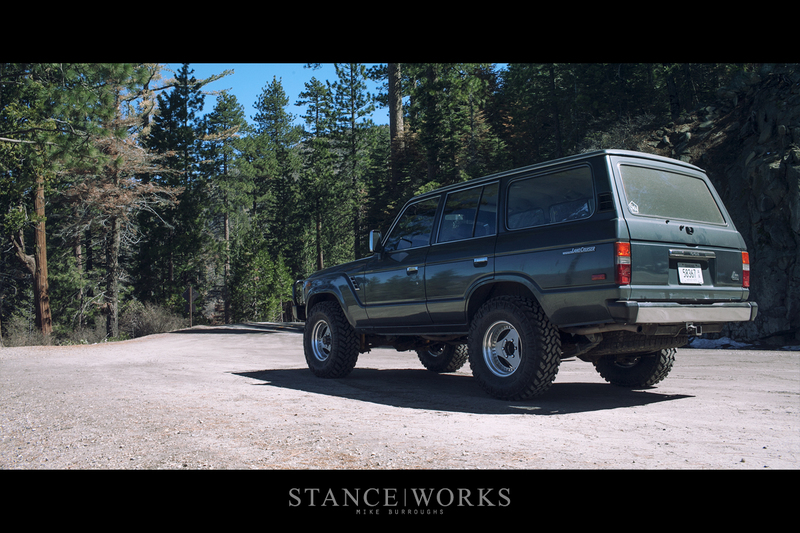 Wanting to balance comfort with capability, I opted for the Terra Grappler in 285/75/16, or for all intents and purposes, 33s. 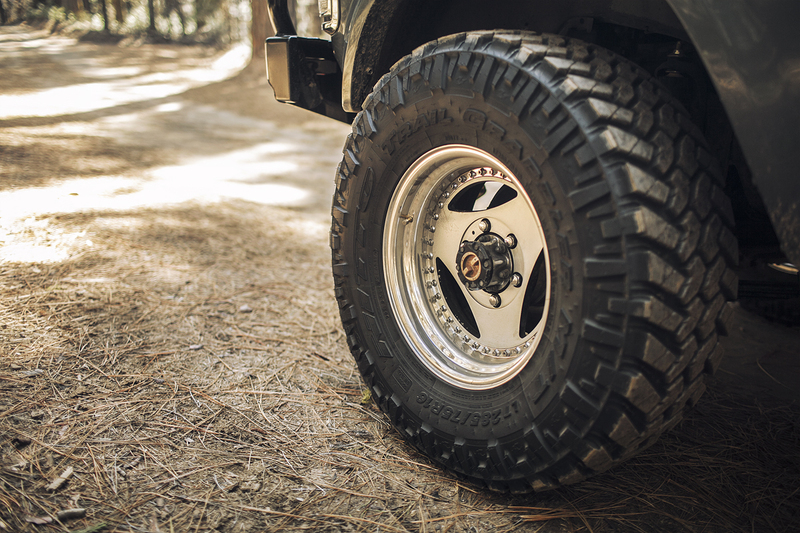 The Terra Grappler is an all-season off road tire that offers lots of traction in the dirt, snow, sand, and more, while also offering a quiet ride for day-to-day driving. 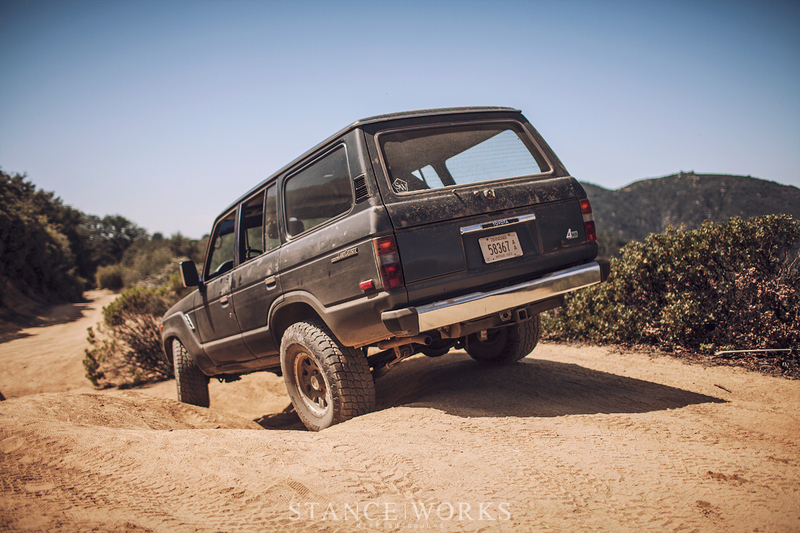 As the FJ62 is a truck I still drive every day, it's an important balance to have. As of today, I've spent countless hours behind the wheel, ranging from the sands of the Mojave to the asphalt of the 405 freeway, and plenty in between. The truck and I have covered tens of thousands of miles, most often with my girlfriend Emily in the front seat and our dog Chloe hogging the rear. 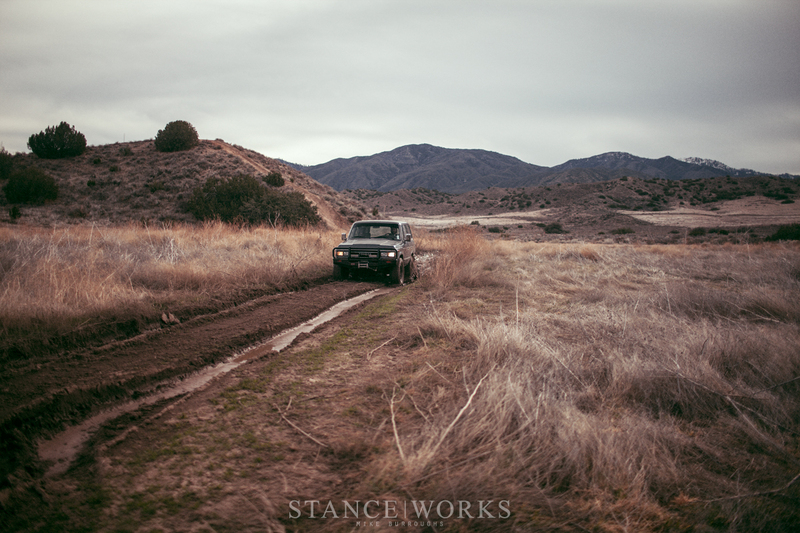 We've conquered the dirt, the mud, the snow, and more, and now, after all (or most) of 2016 perched atop my Nitto tires, I'm excited to share a year's worth of experience, challenges, hurdles, and more. 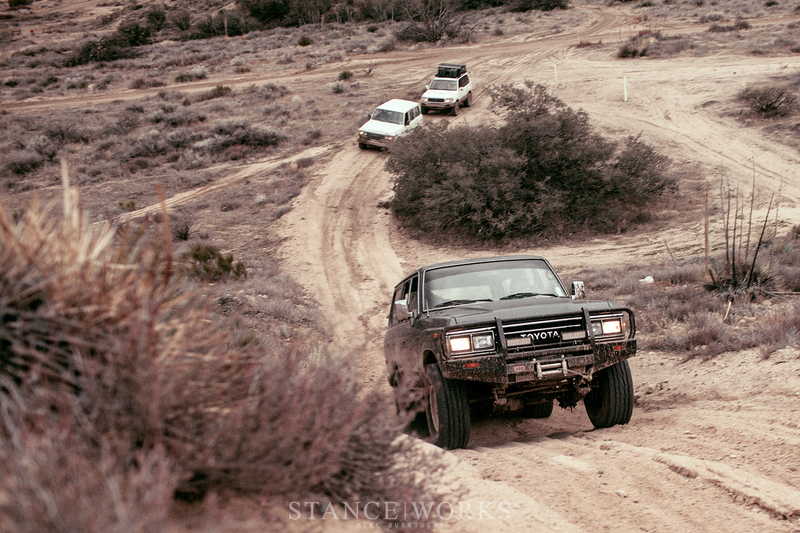 One of the earliest trips of the year was to the Hungry Valley OHV Park. We set out just a day following some rare Californian rain, meaning a mix of dry terrain and wet, a rarity in the area. As with almost every trip we take, we began with airing the trucks' tires down. 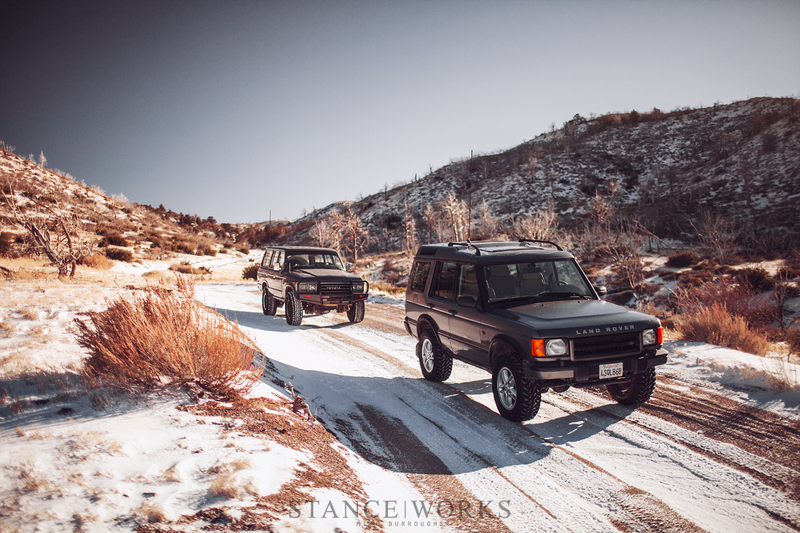 For the veterans, it's obvious why, but for those newer to off roading, the benefits are numerous. Airing down the tires offers improved ride quality and traction, the prior being far more relevant to the trip in Hungry Valley. The ride quality is improved because the deflated tire adds to the car's suspension, in a sense. 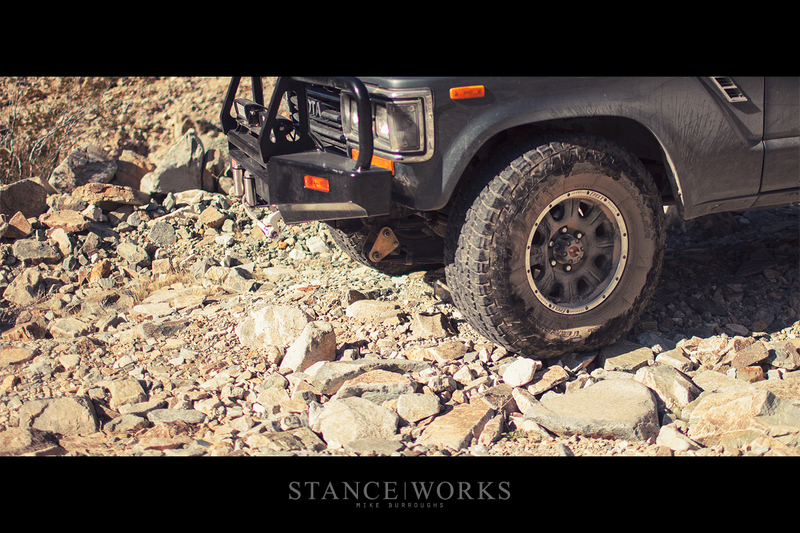 Bumps, rocks, and debris are absorbed by the tire instead of being transferred to the springs, leaving them to do less work. In a truck with leaf springs on all four corners, it's a blessing. Tires can be safely aired down to around 10PSI on normal wheels, and even lower on trucks with bead locks. The need to deflate for the sake of traction, on the other hand, came during our first trip to Big Bear in 2016. 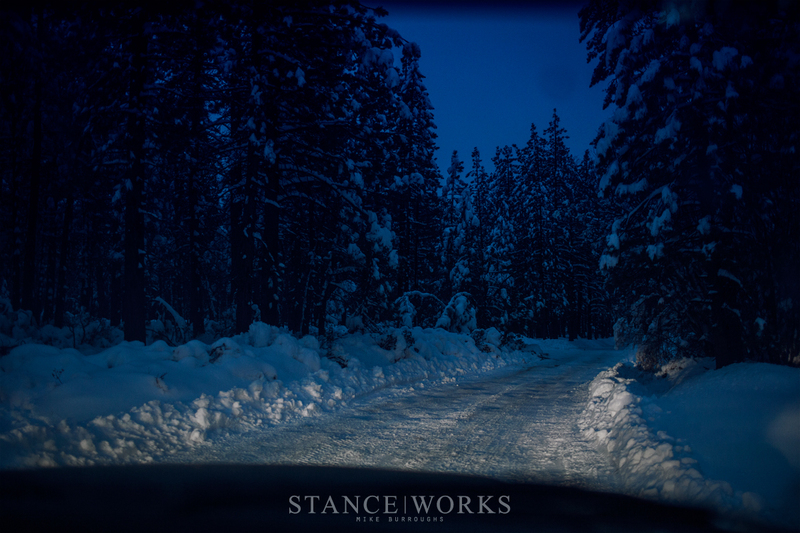 Following heavy snowfall, we tread a path away from Fawnskin, off into the forests of Big Bear Mountain. 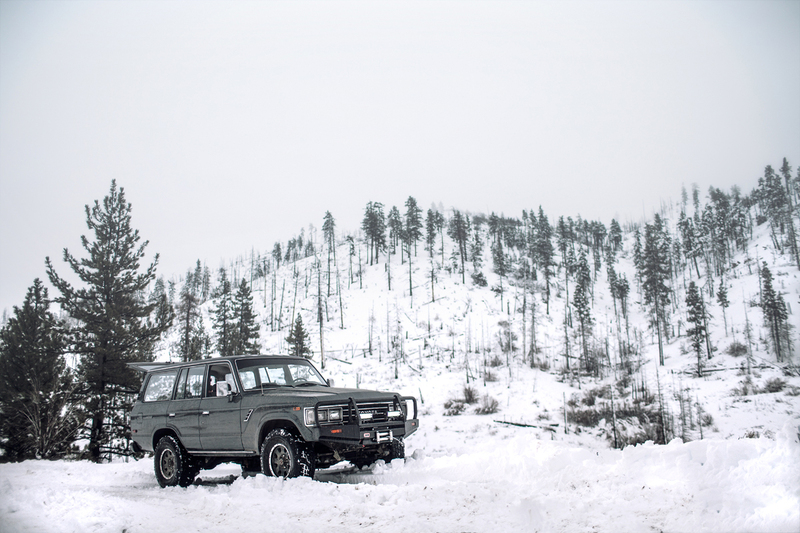 The Terra Grapplers held tight to the snow for a majority of the snow, with a bit of slip happening only on the steeper inclines. It wasn't until after the temperatures dropped and the sun went down that the terrain began to freeze over. 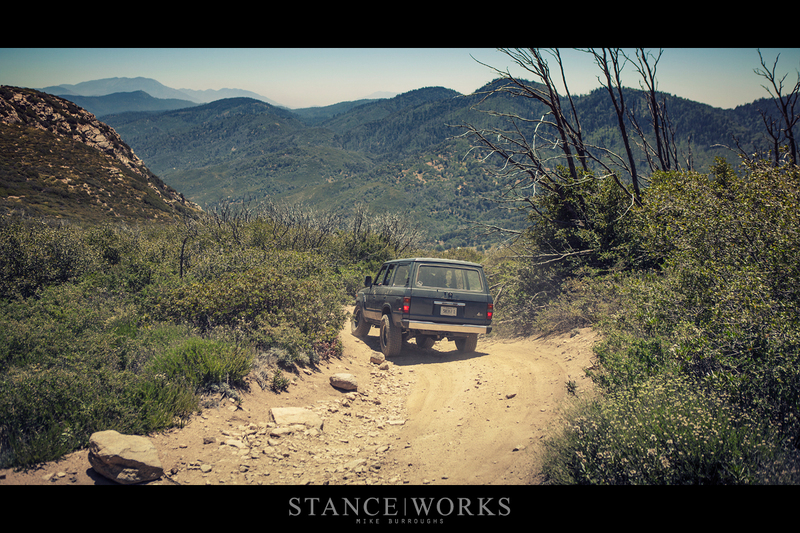 After a few failed attempts to climb out of the valley we had descended into, we deflated the tires on all three trucks, and without much effort, we climbed on out. With less air in the tires, they're able to conform to surfaces, increasing the tread contact patch drastically for an incredible bump in traction. 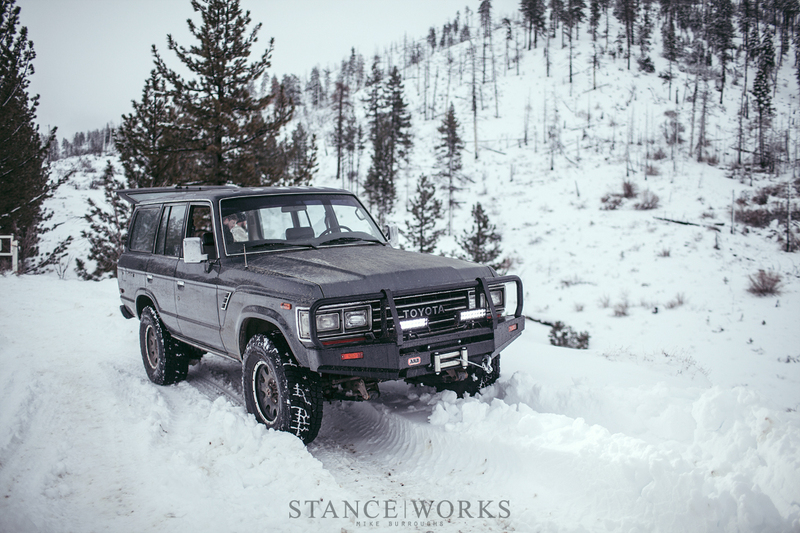 The Terra Grapplers thrived in the snow once we let them stretch their legs (and sidewalls) a bit. 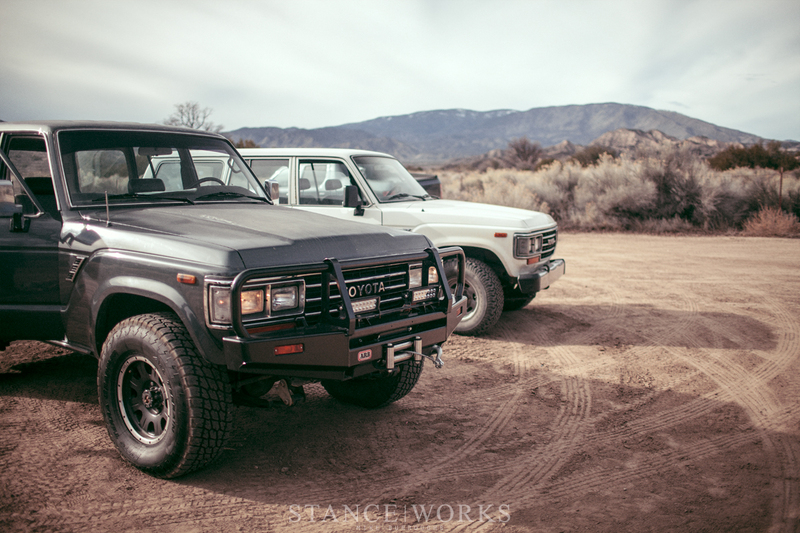 Speaking of sidewalls, many of Nitto's tires in the Grappler series extend their tread around to the sidewall. Aside from breaking the monotony of normal tire design, the wrap-around tread offers serious improvements in terms of grip and foothold, both when the tire is fully inflated and aired down. 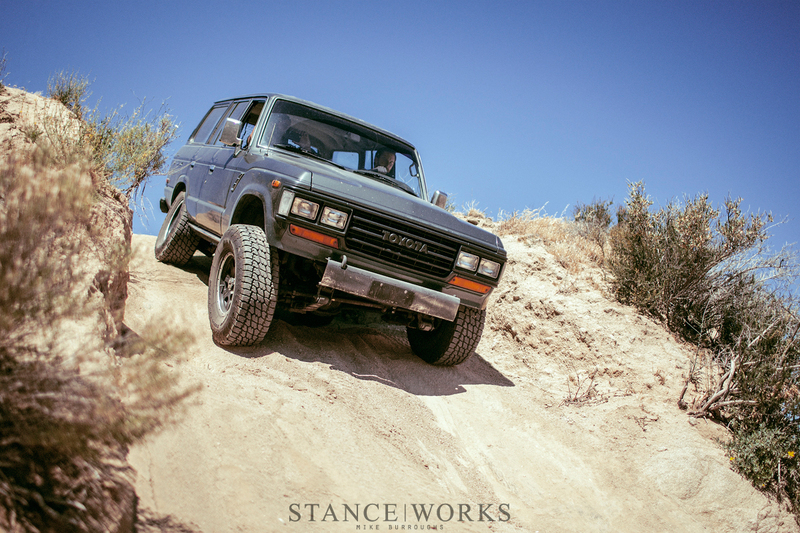 It's possible to see just how much the sidewall is used for grip in the photo above, and you can see the sidewall tread in the photo below - both highlight the importance of more than just the tire's typical tread pattern when it comes to maximizing off road performance. That's not to say, however, that there's much sacrifice to be made, if any, when it comes to on road performance too. Partway through the year, I opted to change my tires over to the Trail Grappler when I changed my wheels. 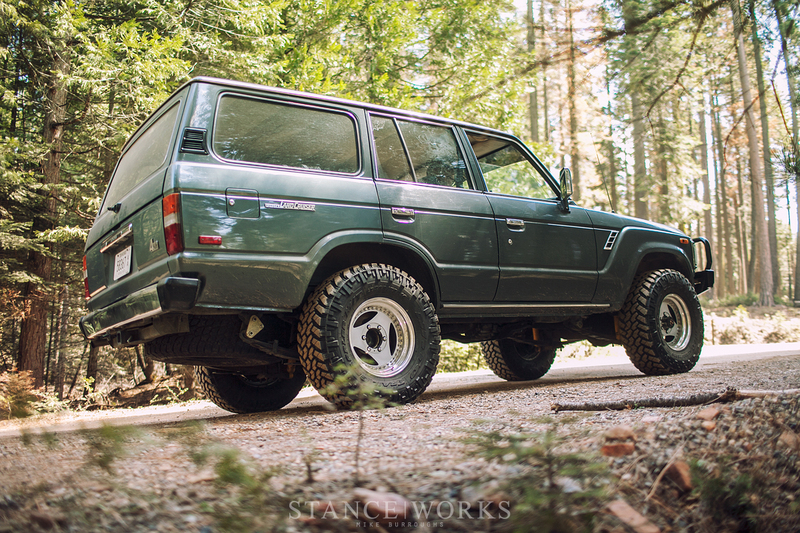 Following the installation of my Lodio Drive 3-spokes, I was apprehensive about upgrading to a more aggressive off road tire - road noise, above all else, is the largest problem when it comes to tires with big, block tread patterns. 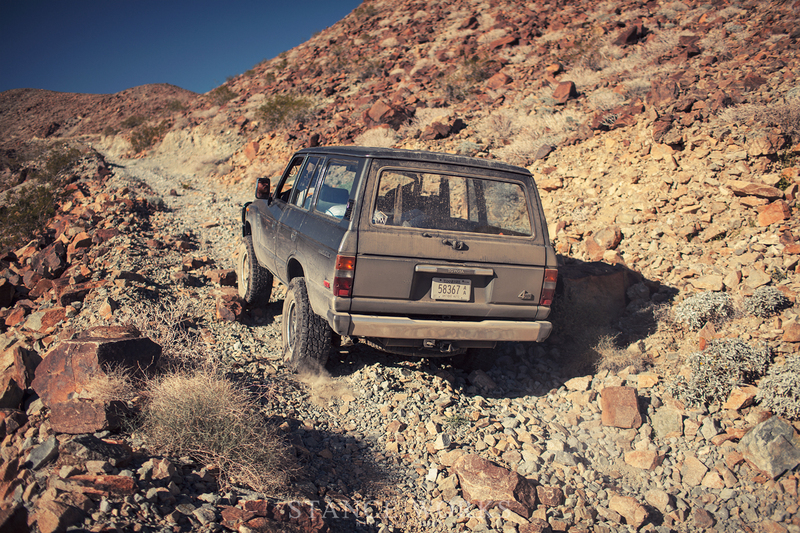 The Trail Grappler, however, offered an almost non-existant change in comfort and sound levels. 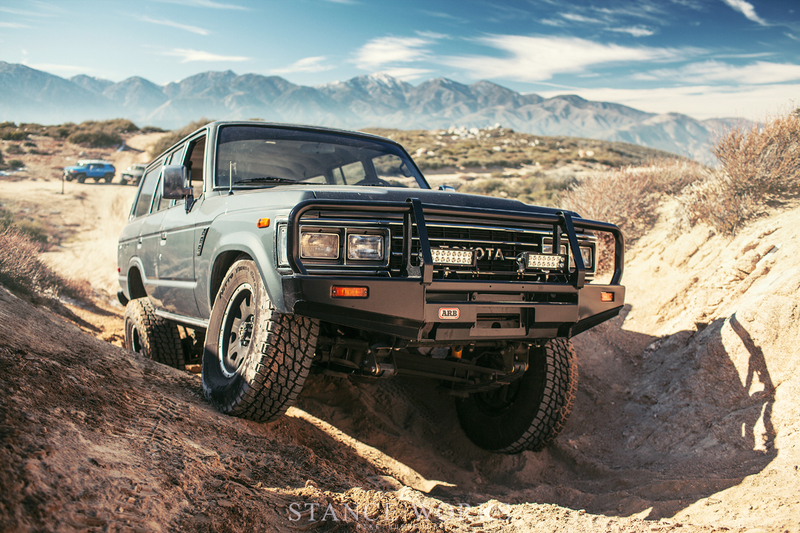 In the dirt, the payoff was great - my Land Cruiser was bestowed with traction in unparalleled levels. 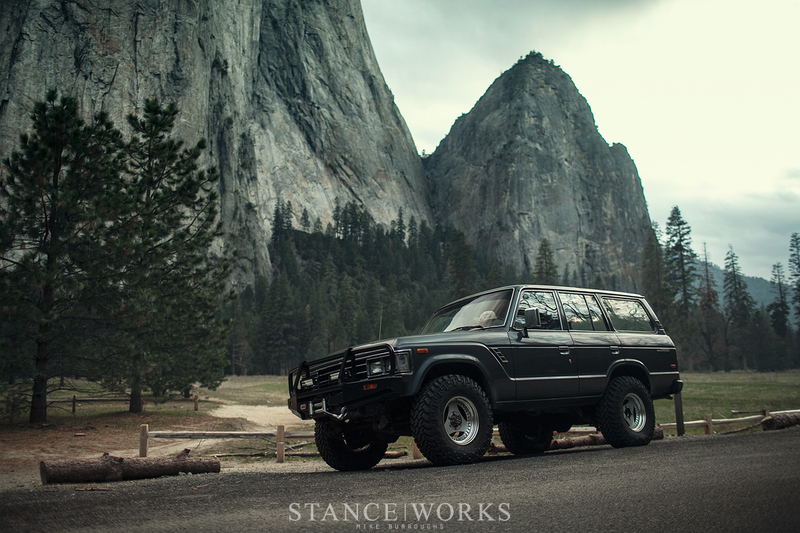 Following the new wheel and tire installation, Emily and I took the Land Cruiser up to Yosemite National Park. The trip itself was truly one-of-a-kind (and you can read more about it here) but even the drive there and back - five hours each way - was made enjoyable too, thanks to tires that didn't howl the entire way. 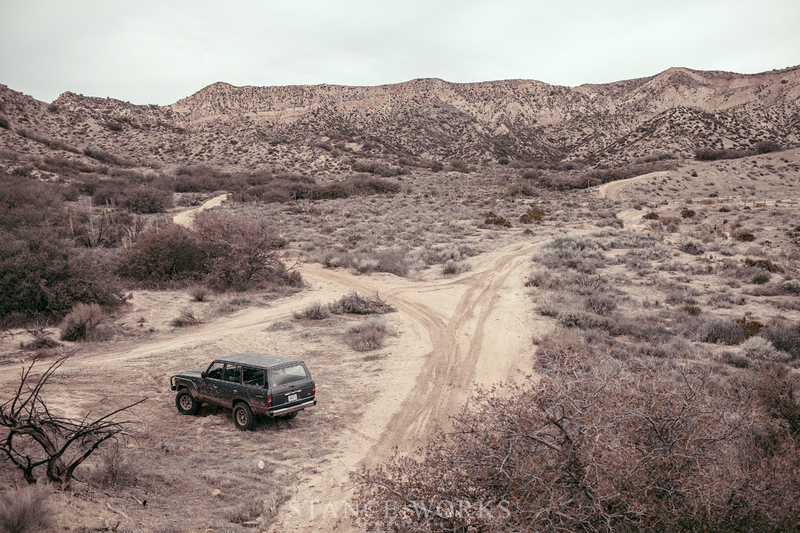 Just days after returning from the trip, however, the Land Cruiser was stolen, meaning there was a rather sad break from time on the trail. However, eventually, the truck was recovered, although stripped of valuable parts. Over time, we've managed to reunite it with a hand full of it's former goodies, including the original tried and true Terra Grapplers. 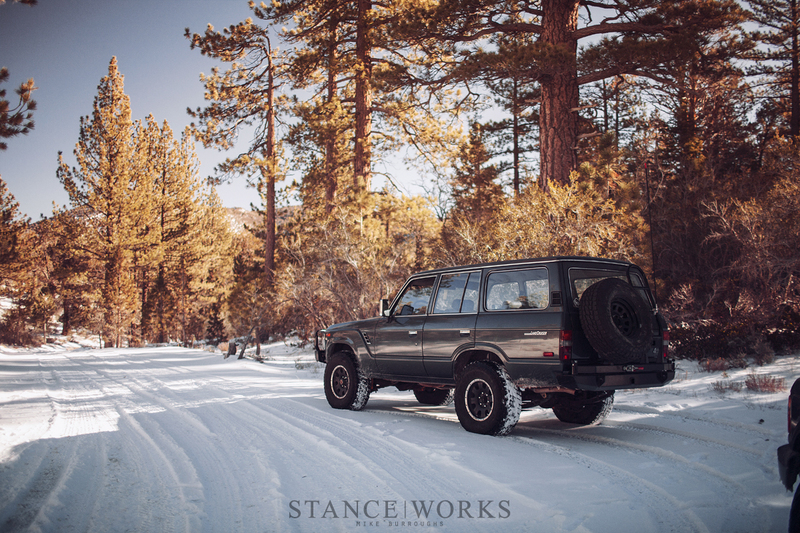 We managed to squeeze in one final outing for the year - a trip up to Big Bear for the first snow fall of the year, and as you might guess, there was traction in excess. Now, with 2017 upon us, I'm excited to put the truck and its tires through more work than ever, so stay tuned - I'll let you know how the next twelve months go. Glad you got the truck back. I could feel your pain in your IG post that it had been stolen. Enjoy the trails. I plan to get back to them one day!